Fédéric Baron developed a passion for the world of spirits after a successful career in LVMH group at Hennessy, and naturally, the next step was to embark on his own adventure. As a result, in 2011 FJ Baron Distribution was born, in collaboration with the finest minds in the region. Both he and Bertrand Auriol, expert Master Blender, created the Vodka Ice One Baron, and then to continue to expand in Premium and Super Premium additions of rum, gin and Cognac. Following a rewarding career in the LVMH group at Hennessy, Fédéric Baron developed his passion for spirit production and decided to then embark on his own adventure. 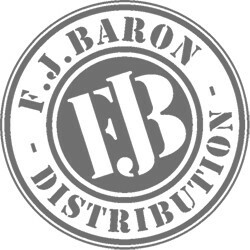 In 2011, FJ Baron Distribution was born, which would lead to the creation of the Ice One Baron Vodka, Federico Rhum line, and the Baron Degabriel Cognac and Brandy. In collaboration with Bertrand Auriol, a celebrated Master Blender, they created the first product of the line - the Ice One Baron Vodka, a 100% French product. The rum products include a white rum from Trinidad and Tobago, an Amber rum from Barbados, and a Petite Champagne Cognac. Their products now feature in the Premium and Super Premium segments, and have been awarded during tasting sessions. All of the FJ Baron products are created with savoir-faire and tradition dating back many generations, with innovation and new adventures.